Aloha Friends, Family, and Lovers of DANCE! Shakti Dance Movement is proud to present Shakti’s Den: A Performance Showcase Fundraiser Show! Bring Cash! We will have our famous Belly Dance Garage Sale, a Silent Auction, and our famous Bake Sale! Shakti Dance Movement has been blessed this year with the opening of our new in home studio, Shakti’s Den Studio, in Waimanalo. 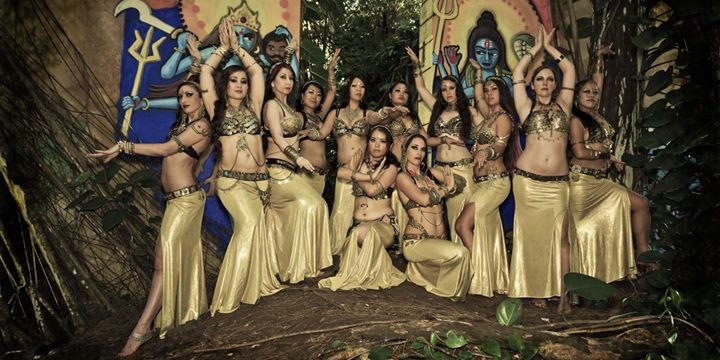 Funds from this show will go towards studio upgrades and assisting some of the Shakti girls in attending the Hawaii Belly Dance Retreat we produce on the Big Island every year with our beloved teachers Zoe Jakes & Kami Liddle. It is attending weeklong intensives like this that help us keep our training up do date, modern, and fill us with inspiration, so we can continue to create the work we love. We hope you can make it to support your favorite local fusion bellydance crew while enjoying a few drinks, eating some homemade treats, and taking home fun new goodies. Mahalo for all your support. Shakti is excited to be celebrating our 13th year together and we could not have done it without you! Without you we couldn’t do what we do! Shakti is excited to be celebrating our 13th year together!